Section 1. Name. The name of this organization shall be the Southeast Coastal Ocean Observing Regional Association (and referred to herein as SECOORA). This organization shall be a nonprofit organization incorporated under the laws of the State of South Carolina. The organization may by a vote of the membership body change its name. Section 2. Not for Profit. The Southeast Coastal Ocean Observing Regional Association (SECOORA) is a not-for-profit corporation committed to (i) providing integrated, remotely-sensed and in situ information about the SE coastal region and related ecosystems for timely use by researchers, managers, mariners, military experts, industry, educators, and others seeking to know current ocean conditions, to understand this coastal environment, to manage ocean and littoral resources, and to develop commercial uses of marine resources, data, and information; (ii) helping to anchor a national ocean observing system; (iii) developing new sensor technologies; and (iv) stimulating innovation by supporting new and expanded business opportunities in such areas as, but not limited to, biotechnology, information technology, and living marine resources. SECOORA will work with private industry to develop the most efficient collection, delivery and production for stakeholders. Section 3. Geographic Extent. The geographic extent of the Southeast Regional Association is the coastal zone and the Exclusive Economic Zone (EEZ) in the region from the Virginia-North Carolina border in the north to the Florida-Alabama coastal border. The coastal zone extends inland to the limit of direct tidal processes in estuaries. e. Ensure continued and routine flow of data and information and the evolution of the Regional Association to adapt to the needs of user groups and the timely incorporation of new technologies and understanding based on these needs. Section 5. Non-Partisan Activities. SECOORA shall be non-partisan. No part of the activities of SECOORA shall consist of the publication or distribution of materials or statements with the purposes of attempting to influence or intervene in any political campaign on behalf of or in opposition to any candidate for public office. Section 6. Powers. SECOORA shall have and enjoy all powers granted to non-profit corporations by law in the State of South Carolina, as the same shall from time to time be amended. a. SECOORA shall not carry on propaganda or otherwise attempt to influence legislation to such extent as would result in the loss of exemption under Section 501(c)(3) of the Internal Revenue Code of 1986, as amended. SECOORA shall not participate or intervene in (including the publication or distribution of statements) any political campaign on behalf of or in opposition to any candidate for public office. By a public charity described in Section 509(a)(1), (2) or (3) of the Internal Revenue Code of 1986, as amended. Section 7. Review. In 2012 and every five years thereafter, the Board shall undertake an analysis of the effectiveness of SECOORA‘s prior and future activities. This analysis will include input from the membership. Based upon that analysis, the Board may choose to undertake dissolution of SECOORA, as per 13B MRSA Sect. 1101 et seq. (and any successor). If the Board does not undertake dissolution, SECOORA shall remain an active corporation under South Carolina law. Section 8. Assets. The properties and assets of SECOORA are irrevocably dedicated to scientific and educational purposes. No part of the net earnings, properties, or assets of SECOORA, on dissolution or otherwise, shall inure to the benefit of any private person or individual, or director of SECOORA, except that reasonable compensation may be paid for services rendered to or for SECOORA in carrying out one or more of its purposes. Upon the dissolution of SECOORA, any assets remaining thereafter shall be transferred and conveyed by the affirmative vote of a majority of the directors entitled to vote in respect thereof, provided however that such transfer or conveyance shall be made only to an organization or organizations which shall be exempt under Section 501(c)(3) of the Internal Revenue Code, unless otherwise stated by legal contract. Section 1. Membership Categories. To facilitate broad membership among all sectors, several categories of membership are available. The primary membership in SECOORA is organizational. Only organizations will be afforded full membership rights and privileges either as Sustaining Members or Institutional Members. Each organization will be represented by an individual of that organization who can officially act on behalf of that organization. There are also individual memberships and affiliate memberships, with limited privileges, available to accommodate and encourage direct participation from ocean observation users and other stakeholders. Eligibility for nomination and election to the Sustaining Member Board Seats. Eligibility for nomination and election to the Institutional Member Board Seats. Eligibility for nomination and election to the At-Large Board Seats. Eligibility to attend all SECOORA sponsored meetings with registration fee pre-paid (up to three individuals per organization). Eligibility to lead, participate and vote on policy and program committees. Any individual from a sustaining member organization can participate on the program committees with the approval of that home organization’s designated member. b. 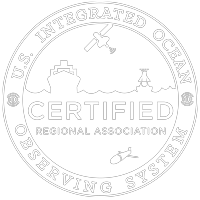 Institutional Member – Any organization (public, private, non-profit) engaged in the collection, delivery, or use of coastal and/or ocean observing data or information may join as an Institutional Member. Sole proprietorships and individuals are not eligible for membership within this category. Dues are set by the Board of Directors. Eligibility to attend all SECOORA sponsored meetings with registration fee pre-paid (one individual per organization). Any individual from an institutional member organization can participate on program committees with the approval of that home organization’s designated member. c. Individual Member – individuals who engage in the collection, delivery, or use of coastal and/or ocean observing data or information may join as individual members. Individual memberships allow for SECOORA participation by individuals operating sole proprietorships and individuals who are unable to act on behalf of their full organization. It also permits participation from multiple individuals within large organizations and encourages broader membership among users. Individual membership, however, does not include full voting membership privileges. The only voting and Board membership rights of individual members are for the election of and for at-large Board members, respectively. If an individual member is elected to serve on the Board in an at-large seat through those elections, the individual member is then entitled to full Board voting privileges for the duration of the term and to voting privileges when serving on any Committee during the time such individual member serves on the Board. Dues are set by the Board of Directors. Eligibility for voting, nomination and election for the At-Large Board Seats. Eligibility to attend all SECOORA sponsored meetings. Eligibility to lead, participate and vote on program committees. d. Affiliate Member – any organization that would otherwise qualify as an Institutional Member but whose ability to officially join SECOORA is constrained in some way. Affiliate membership is determined on a case by case basis by the Board. Affiliate members do not have voting rights. Affiliate members may be eligible for nomination and election by the Board to serve as non-voting, ex-officio Board members. Affiliate members are eligible to participate on program committees. b. Eligibility as an Organization. Questions concerning eligibility of organizations will be referred to the Executive Director for a decision. If the Executive has questions regarding an applicants eligibility, the matter will be referred to the Governance Committee, and then, in cases where a new precedent is established, to the Director Board for decision and clarification. c. Member in Good Standing: Sustaining and institutional members in good standing are defined as the formally designated organizational/individual representative of SECOORA who meets all eligibility requirements and whose dues are current. An Individual Member in good standing is defined as an individual member who meets all eligibility requirements and whose dues are current. They shall be collectively referenced as “Member(s) in good standing”. Dues are current if paid before a cut off date established by the Board. Section 3. Rights of Members in Good Standing. Members in good standing shall elect the Board of Directors for SECOORA. All members shall have the right to attend open meetings of SECOORA and can contribute to and participate in discussion relating to the activities, plans, and organization of SECOORA. All SECOORA meetings, including committee meetings, are open unless expressly noticed as being closed. Only members in good standing shall cast votes on issues requiring approval or concurrence of the membership. Section 4. Role of Membership in Governance. Sustaining and Institutional Members shall have the ultimate authority to elect the Board and approve any changes to the By-Laws. With regard to the Board elections, individual members are limited to voting on at-large Board seats, but may participate in other votes of the membership. Section 5. Resignation and Termination. Any member may resign by filing a written letter of resignation with the SECOORA Executive Director. Resignation shall not relieve a member of unpaid dues, or other charges previously accrued. A member can have their membership terminated for cause by a majority vote of either the Board of Directors or the voting membership. Section 6. Non-voting membership. The Board of Directors shall have the authority to establish and define non-voting categories of membership. Section 7. Voting. Voting is limited to one vote per organization under the Sustaining and Institutional member categories, and one vote per individual under the Individual Member category. Only members in good standing at the time of any vote may vote. Section 1. Annual Membership Meetings. A meeting of the members shall take place annually. The specific date, time, and location of which will be determined by the Executive Director in consultation with the Board of Directors. At the annual meeting, the members shall elect directors, receive reports on activities from the SECOORA Board, staff, committees, and others; assess conflict of interest statements; review and consider the allocation and expenditure of existing and expected/future monies available to SECOORA; review the required audit; approve an annual budget and spending plan; vote on any recommended by-laws changes ; and, determine the future direction and activities of SECOORA. Section 2. Special Board or Membership Meetings. The Chair, Executive Committee, or a simple majority of the Board of Directors may call special meetings of the Membership. Such a meeting should be limited to discussion of events and activities that are time critical and cannot be delayed so as to coincide with a planned/scheduled meeting of the Board or the membership. Section 3. Notice of Membership Meetings. Notification of the time and location of each meeting of the Membership shall be distributed to members at least 60 days in advance of such meeting (excluding Special Meetings) via e-mail or by posting of pertinent information on the organization’s Web site. Meeting notices shall also identify any substantive issues that are expected to be considered at the meeting. Substantive issues cannot be considered by the Membership unless notice has been given to the members that such issue is to be considered. Section 4. Membership Meeting Quorum. At least sixty (60) percent of the eligible voting members must be present at any properly announced meeting to constitute a quorum. No action can be taken unless a quorum is present. Section 5. Voting. All issues to be voted on shall be decided by a simple majority of the members present at a duly constituted meeting in which the vote takes place. Section 6. Proxies at Meetings. Any Member in good standing may designate a proxy to vote on behalf of the Member upon a notice to and acknowledgement by the Executive Director. Section 7. Procedures. All business of the corporation and its membership shall proceed according to procedures as approved by the Board. In the absence of specifically defined procedures, the latest version of Robert’s Rules of Order shall govern procedures. Section 1. Actions on behalf of the Members. The Board shall act on behalf of the Members between annual meetings. a. Sustaining Member Seats – up to 4 seats available to Sustaining Members. Candidates for such vacancies shall be recommended by the Board Development Committee to the Board and elected by a majority vote of the Sustaining and Institutional Members. b. Institutional Member Seats – Minimum of 9 seats available to Institutional Members. Candidates for vacancies shall be screened for eligibility by the Board Development Committee for consideration of the Board and elected by a majority vote of the Sustaining and Institutional Members in good standing. Nine (9) of the seats shall be allocated according to the list below; additional seats in this category shall be filled by all sectors equally. c. At-Large Seats – Up to 6 seats available to any SECOORA member, including Individual Members. Candidates for vacancies shall be screened for eligibility by the Board Development Committee for consideration of the Board and elected by a majority vote of all Members in good standing. The seats shall be allocated according to the list below. To be eligible for an at-large seat, the nominated member or their member organization must reside in or have an active business address in the state. d. Public Seats – Up to 6 seats may be available for individuals of stature from outside of SECOORA membership, and shall be elected based on their ability to effectively represent broader interests and perspectives. The number of Public Board Members should not exceed 25% of the total Board seats at any given time. Candidates shall be recommended by the Board Development Committee to the Board and elected by a majority vote of the Board. Section 3. Board Terms of Service. After the initial election, (June 2007), Board terms will be three years, with the Board members divided into three year classes that would stand for election on a rotating basis. Board members are eligible to serve for two full three-year consecutive terms, if so elected. Board members with such service must wait at least one year before becoming eligible to be re-elected to the Board. Board terms of service requirements apply to the individuals elected rather than to the institutions they represent. Section 4. Board Meetings. Board meetings shall be held, at a minimum, two times per year, one of which shall be held in conjunction with the Annual Meeting of the members. Board members may attend meetings electronically. Section 5. Board Elections. New and current directors shall be elected or reelected by the Membership according to the election procedures established by the Board Development Committee. A simple majority shall decide the outcome. Section 6. Board Election Procedures. The Board Development Committee shall be responsible for evaluating the eligibility of nominees and providing a slate of prospective candidates for the Board that shall represent SECOORA’s diverse constituency. Any Member in good standing may nominate a candidate to the slate of nominees by following the Election Procedures. Section 7. Board Quorum. A quorum of at least seventy (70) percent of the Board members must be present at a duly constituted meeting for business transactions to take place, motions to pass, and votes to be taken. Section 8. Board Voting. Electronic/telephonic voting may be used. a. Chair – The chair shall convene regularly scheduled board meetings, work with the Executive Director to prepare Board meeting agendas, and shall preside or arrange for others members of the Executive Committee to preside at each meeting in the following order: vice-chair, secretary, treasurer. b. Vice-Chair – The vice chair shall chair committees on special subjects as designated by the Board, and serve as chair at such times when the Chair is not available. c. Secretary – The secretary shall be responsible for working with the SECOORA staff to insure the records of the organization are properly maintained. This includes insuring that records of Board and Executive Committee actions are kept, minutes are taken at all board meetings, and that meeting announcements, copies of minutes, and agendas are distributed in a timely manner. d. Treasurer – The treasurer shall chair the Finance Committee and make a report at each Board meeting. In conjunction with staff, s/he assist in the preparation of the budget, help develop any business plans, and provide oversight and review of contractor or staff-prepared financial statements detailing the receipt and disposition of funds. Section 10. Vacancies. When a vacancy on the Board occurs, the secretary shall seek and receive nominations for a temporary replacement from the current (sitting) Board members two weeks in advance of the next regularly scheduled Board meeting. Nominations shall be sent out to Board members with the Board meeting announcement, and shall be voted upon at that Board meeting. Vacancies will be filled only to the end of the current term. Section 11. Resignation, termination, and absences. Resignation from the Board must be submitted in writing and received by the Secretary. A Board member may be terminated from the Board due to excess absences or consistent lack of participation in the ongoing business of the Board. A Board member may be removed for cause by a three-fourths vote of a quorum of Board of Directors. Section 12. Special Meetings. Special meetings of the Board may be called upon the request of the Chair, or at least one-third of the Board membership. The Secretary shall send out notices of special meetings to each Board member at least two weeks prior to the proposed meeting date. Section 1. Executive Committee. The Executive Committee shall be made up of the four officers of the Board (Chair, Vice-Chair, Secretary and Treasurer) as elected by the full Board of Directors, along with the immediate past Chair. When the past chair is not a member of the Board of Directors or no such past Chair exists, then a fifth member of the Executive Committee will be elected by the Board so that the Executive Committee will at all times consist of five Board members. Plan Board’s work and make committee assignments. Handle emergency or interim situations. Annually evaluate the performance of the Executive Director. Support, review, and monitor the SECOORA planning process. Establish criteria and processes for Board elections, accept nominations, screen prospective nominees, and provide a slate of candidates to the members for approval. Develop the annual Board ballot and coordinate circulation to the membership, allowing ample time for consideration of all candidates and resolution of any technical problems. Establish procedures for determining winners of Board elections and handling any disputed election results. Establish procedures governing candidates conduct regarding election campaigns. Design and implement a Board evaluation process. Conduct a biennial review of the By-Laws so as to evaluate and recommend to the Board any revisions and/or corrections, if necessary, to ensure that they stay current and remain effective. Circulate proposed By-Laws amendments to the full Board for review and approval. Circulate Board-approved By-Laws amendments to the full membership for review and consideration prior to the Annual Meeting. Coordinate motions related to the By-Laws at the Annual Meeting. Recommend to the Board standards and guidelines for SECOORA Members as well other criteria for membership in SECOORA above and beyond the standards and criteria already set for full Members in the By-Laws. In coordination with the SECOORA staff, recruit new members. Oversee procedures for member organization compliance with the standards and recommend any needed action to the full Board. Review applications for membership if eligibility is in question and make recommendations to the full Board for review and approval. Oversee financial management and health of organization, review budget, regular financial reports, annual audit, financial policies, and major financial decisions. Coordinate Board assistance, when needed, in fundraising activities, such as identifying and opening doors to new donors and helping to solicit contributions from them. Ensure the adequacy of SECOORA’s financial disclosure and internal controls. Advise the Executive Director on hiring or terminating outside auditors and establish the terms of the outside auditor’s engagement. Advise the Executive Director in engaging independent outside legal and accounting advisors when deemed necessary and advisable. Review dues annually and make recommendations to the Board. In coordination with the Executive Director, will provide general oversight of contractual procedures and other fiscal policies and procedures. Develop testimony to legislative bodies when invited. Write letters expressing SECOORA positions on issues. Work with National and local agencies on their programs that relate to SECOORA interests. Recommend appropriate positions on issues for the SECOORA Board and membership. Section 3. Stakeholder Advisory Council. A Stakeholder Advisory Council shall be established to ensure that SECOORA is developed with end-user benefits in mind. SAC members will be appointed by the SECOORA Board of Directors and will reflect the broad spectrum of coastal ocean observing system data and product users. The SAC will provide advice on policies, identify potential new audiences for data and products, provide input to improve data and products, assist or advise on ways to support the activities and enhance the national resources of the IOOS Association, and suggest improvements on disseminating data and products. They will advise on other matters as may be requested by the SECOORA Board and Committees. The chairperson and other officers, as may be determined to be necessary by the SAC members or the Board of Directors, will be elected by the SAC members through an election organized by the Board Development Committee. The SAC should incorporate value added industry participants. At least one member of the Board of Directors shall serve on the SAC. Section 4. Policy Task Forces – Policy task forces may be established by the Board of Directors and regularly report on their activities to the Board. They shall be chaired by a Board member, comprised of members of the Board, or other institutional or sustaining members, and shall examine and develop recommendations on Board policy matters. These task forces shall have a limited time horizon, a defined sunset clause in their mandate, and are required to provide reports at each Board of Directors’ meeting until their task is completed. Section 6. Ad Hoc ProgramCommittee Formation. The Board may create additional committees as needed to support the objectives and successful operation of SECOORA. The Board Chair shall appoint all Ad Hoc Committee Chairs with the concurrence of a majority of the Board. Ad Hoc Committee membership shall be proposed by the Committee Chair and approved by the Board. Section 1. Executive Director. The position of Executive Director shall be established by the Board, based on an approved job description. The Executive Director has day-to-day responsibilities for the organization, including carrying out the organization’s goals and policies. The Executive Director will attend all Board meetings, report on the progress of the organization, answer questions of the Board, and carry out other duties as proscribed. The Executive Director serves at the pleasure of the Board. Section 2. Staff. The Board may establish additional staff positions based on the requirements of the organization to fulfill its mandate. The Executive Director shall prepare and submit for approval of the Board all job descriptions for such positions. The Executive Director shall be responsible for advertising, interviewing, hiring, supervising, and evaluating all SECOORA staff, with guidance of the Board. Section 1. Contracts. The Board of Directors may authorize any officer or officers, agent or agents, to enter into any contract or execute and deliver any instrument in the name of and on behalf of the Corporation, and such authority may be general or confined to specific business. a. Checks, Drafts, or Orders. All checks, drafts, or other orders for the payment of money, notes, or other evidences of indebtedness shall be signed by such officer or officers, agent or agents of the Corporation and in such manner as from time to time shall be determined by resolution of the Board of Directors. b. Deposits. All funds of the Corporation not otherwise employed shall be deposited from time to time to the credit of the Corporation in such banks, trust companies, or other depositories as the Board of Directors shall select. Section 3. Fiscal Year. The fiscal year of the Corporation shall be July 1 to June 30. Section 4. Waiver of Notice. Whenever any notice is required to be given to any member or director of the corporation under the provisions of law or these By-Laws, a waiver thereof in writing, signed by the person or persons entitled to such notice, whether before or after the time stated therein, shall be deemed equivalent to the giving of such notice. Section 5. Books and Records. The corporation shall keep correct and complete books and records of accounts and shall also keep minutes of the proceedings of its members, and Board of Directors, and records of actions of committees having and exercising any of the authority of the Board of Directors, and shall keep at the principal office a record giving the names and addresses of the members entitled to vote. All books and records of the corporation may be inspected by any member, or his agent or attorney, for any proper purpose at any reasonable time. The Board of Directors shall cause an audit of the books and records of SECOORA to be conducted on an annual basis by an independent firm of certified public accountants. Section 6. Indemnification. Each director, officer, committee member and employee of SECOORA shall be indemnified by SECOORA against expenses, including attorney’s fees, judgments, fines, and amounts paid in settlement, actually and reasonably incurred by such person in connection with any threatened, pending or completed action, suit, or proceeding, whether civil, criminal, administrative, or investigative (other than an action by or in the right of SECOORA), by reason of the fact that such person is or was a director, officer, committee member, or employee of SECOORA, or is or was serving at the request of SECOORA as a director, officer, trustee, agent, or employee of another corporation, partnership, joint venture, trust, or other enterprise, if such person acted in good faith and in a manner reasonably believed to be in the best interests of SECOORA, and, with respect to any criminal action or proceeding, had no reasonable cause to believe such person’s conduct was unlawful. The termination of any action, suit, or proceeding by judgment, order, settlement, conviction, or upon a plea of nolo contendere, or its equivalent, shall not of itself create a presumption that the person did not act in good faith and in a manner which is reasonably believed to be in the best interests of SECOORA, and, with respect to any criminal action or proceeding, that such person had reasonable cause to believe that such person’s conduct was unlawful. SECOORA shall have the power to purchase and maintain insurance on behalf of any person who is or was a director, officer, committee member, or employee or is or was serving at the request of SECOORA as a director, officer, trustee, agent, or employee of another corporation, partnership, joint venture, trust, or other enterprise against any liability asserted against and incurred in any such capacity, or arising out of his or her status as such, whether or not SECOORA has indemnified such person hereunder. Expenses incurred in defending a civil or criminal action, suit, or proceeding may be paid by SECOORA in advance of the final disposition of such action, suit or proceeding as authorized by the Board of Directors in the manner provided by the applicable statutes of the State of South Carolina concerning indemnification by non-profit corporations currently contained in 13-B M.R.S.A. Section 714,(or the corresponding provisions of future South Carolina law), upon the receipt of an undertaking by or on behalf of the director, officer, committee member, or employee to repay such amount, unless it shall be ultimately determined that such person is entitled to be indemnified as provided herein. In the event that such action or proceeding be by or in the right of SECOORA, SECOORA shall have the same power to indemnify and insure any such director, officer, committee member, or employee, except that no indemnification shall be made in respect of any claim, issue, or matter as to which such person shall have been adjudged to be liable for negligence or misconduct in the performance of such duty, unless the court wherein the action or proceeding is tried shall specifically find that despite the adjudication of liability, but in view of all the circumstances of the case, such a person is fairly and reasonably entitled to indemnity. The indemnification provided by these By-Laws shall not be deemed exclusive of any other rights to which those indemnified may be entitled under any statute or regulation of the State of South Carolina. As used in this provision, the terms “director”, “officer”, “committee member”, “trustee”, “agent”, “employee” include the respective heirs, executors and administrators of persons holding such offices in SECOORA. Section 1: Amendments to By-Laws. A two-thirds majority vote of the Board of Directors may alter, amend, or repeal these By-Laws when necessary with the concurrence of a majority of a quorum of voting members at the next membership meeting. Proposed amendments must be submitted to the Secretary to be sent out with regular Board and meeting announcements.